Real and meaningful education occurs when children are truly engaged, but such engagement is only possible when students can clearly hear and understand the teacher. Roger solutions bridge the understanding gap by sending the teacher's words directly into a student's hearing aids or cochlear implants. 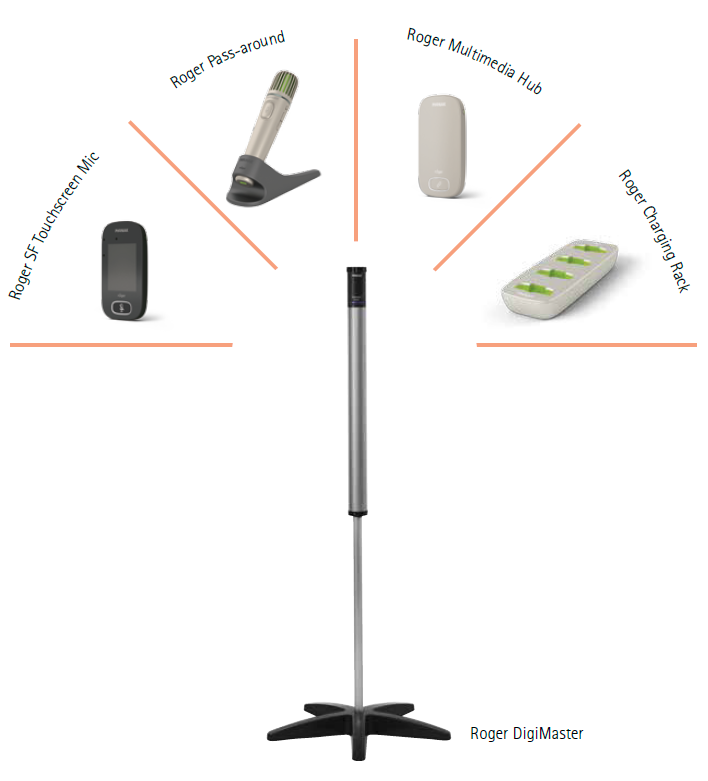 Roger Touchscreen Mic - This wireless teacher microphone is the core component of any Roger system for education. Roger Pass-around Mic works alongside Roger Touchscreen Mic in a classroom's MultiTalker Network. Roger MultiMedia Hub works alongside Roger Touchscreen Mic to integrate audio from multiple sources. Roger Receivers - There is a Roger receiver for every student, whatever hearing technology they currently use. Roger Accessories - These complementary products enable multimedia listening, ensure every student is automatically connected to the teacher's words, and more. Roger Dynamic SoundField classroom amplification system offers Roger sound performance and fully automated settings.